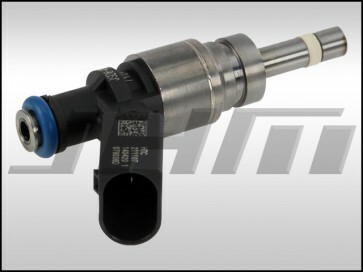 This is a brand new, OEM replacement injector for your B7-RS4 or R8 with the 4.2L FSI V8. This injector is made by Hitachi, the original equipment manufacturer (OEM). These injectors are priced each. There are 8 injectors per engine. If you want to replace all 8 change the quantity to 8 in your shopping cart prior to checkout or adjust the quantity prior to clicking the "add to cart" button. NOTE: Audi recommends installing an injector repair kit each time you remove the injectors from the cylinder heads. These can be found in our store by searching for "Fuel Injector Reseal Kit B7-RS4". The OEM part number for this injector is 079906036D or 079 906 036 D.